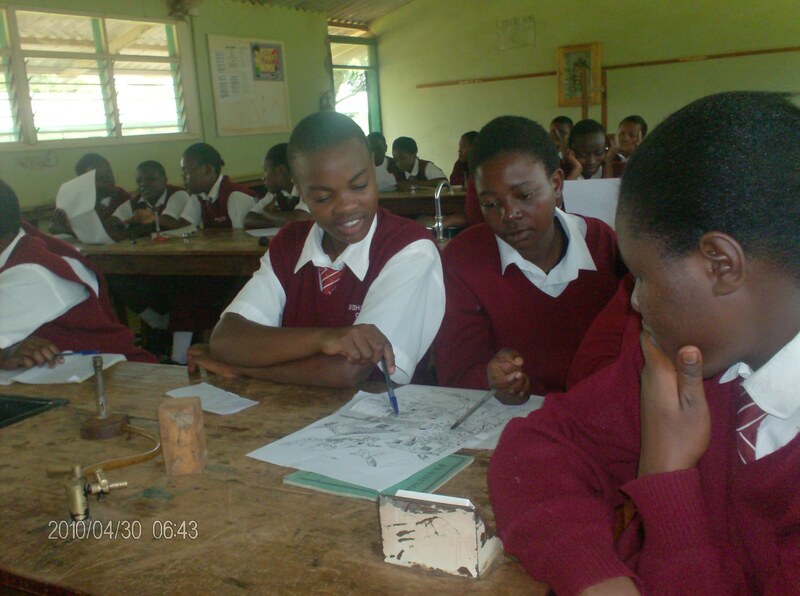 Our partner in the field filed this report about the WATSAN (Water and Sanitation) training held recently at the Bishop Sulumeti Girls School near Kakamega, Kenya. Community education has been done today 4TH MAY 2010, at Bishop sulumeti Girls high school. The school response was positive and encouraging. The lessons were attended by the school principal, lab technician, boarding mistress, Director of studies and students. The sanitation of their school environment. Maintenance of the new water system. The participants were able to realize some of the sanitation and hygienically practices failed to be done in their school like drainage of stagnant water and to do that immediately. The students expressed their need to sensitize and educate their people back in their communities on hygiene and sanitation claiming that more has to be done to avoid issues of open defecation, poor disposal of litter, and lack of dish racks among other poor practices. 1. PRINCIPAL: She said that the provision of the water system will bring more benefits to the school more so in the school performance. 2. DIRECTOR OF STUDIES: He expressed his joy by saying that students have been dosing /sleeping in class at 8 am in the morning due to searching for water until late nights. Now he was sure that would end as soon as the water system is ready. 3. LAB TECHNICIAN: He was happy and said that his students will enjoy science practical lessons unlike before when things were very hard due to lack of water. 4. BOARDING MISTRESS: She expressed her joy and said that it will now be easy for her to provide clean food and on time. 5. HEAD GIRL: On behalf of other students, the head girl promised that come next year the school will come up with 7.8 points in k.c.s.e(Kenya certificate of secondary education).